First off, what is a transactional email ? You’ll receive a transactional email as a result of an action. For instance, you changed your password on a certain site, this site will then send you a transactional email as a result of your action. Transactional emails include welcome emails, password change reminders, upgrade updates, notifications, notices, online receipts and more. These are different from spam emails that just flood your address with nothing but commercial messages and often times wrong information. Transactional emails are important since it verifies that you have indeed done the right instructions and those actions are getting validated and processed. 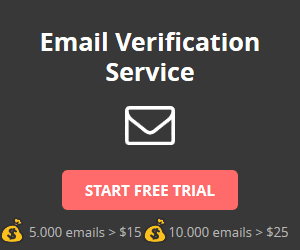 Other names for transactional email include “automatic emails”, “real-time emails” since you get an instant response and even “personalized” emails since it targets only one user. So what are the most common transactional emails? Welcome messages when you sign up to a site or get a subscription. Order confirmations when you purchase something online. 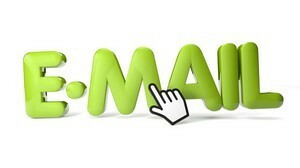 A common misconception about transactional emails is they are immediately linked to e-commerce sites. A transactional email can be a result of you buying something online but it does not always require it to be so. It’s an email companies send to their recipients to follow-up an action that the user has taken in their site. Sometimes transactional emails shows prompts for a user to take an action, most of the time it’s just for confirmation and no other action is needed. However it all comes down to the fact that transactional emails happen as a result of the user’s action. There are times that you’ll receive these emails in addition to information which is related to the action that happened. We often see these “actions” in social media sites. We get alerts or notifications when someone comments, posts or liked something on your home page. You did not make that action but you are the “receiver” of that action. In turn you get a notification email regarding that specific action. How can you apply a transactional email to marketing? Of course as a website owner you’d want to get more sales and click-throughs to other pages or products in your site. So how can you make it visible to the users? By including them in your transactional emails. A good example would be combining your thank you email with an offer related to the action. You can cross sell, up sell or even give additional information that the user would be interested in. For instance, the user has signed up for a newsletter and wants to follow a story on your site. You can follow it up with a transactional email with your thank you notes and a link to a similar story that might get her interested. It’s quite a clever way to include sales in your transactional emails, the user gets what they want and you can even offer them more. Transactional emails have proved itself a valuable material to online marketers. First, you have already captured an audience once they perform an action on your site. This means that this user chose your site, has interest in your content and what you are offering. Transactional emails have one of the highest open rates amongst other email types. It’s because the user is interested in what’s inside the email. Be grateful your emails don’t end up in the spam folders. That’s why it’s extremely important that all the users get their “personalized” follow-ups. This is also your chance to increase engagement with your users. Take that opportunity to market your company or site and provide additional information, links or other offers that the readers might be interested in.